To make sure the safety of themselves, as well as clients, construction workers make sure they take measures to assure everyone on a site is protected from any potential harm. For more on ‘Safety Measures Construction Workers must take’, read on. Safety is important in each and every occupation, but they are more risks in certain jobs than there are in others. With construction if workers are not correctly trained or if they do not try to keep themselves safe, then they put themselves as well as others at risk, so it’s important that workers know the safety measure they must take. Read our article to find out more! Construction is known as one of the most dangerous occupations as workers are exposed to many risks, and the risks could be fatal if workers are not trained to handle them correctly. 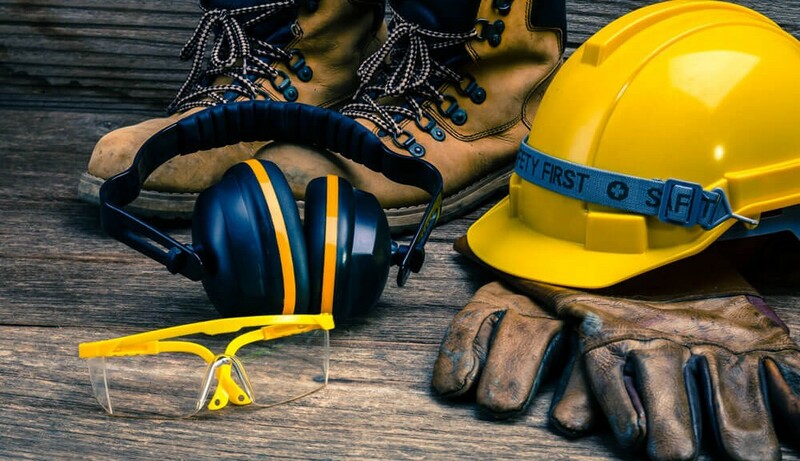 Owners are partly responsible for the safety of their workers regarding training and providing them with the right gear to keep safe on the job. However, each worker is responsible for their individual safety and needs to keep hazards in mind to make sure they keep safe while working. In construction, scaffolding is bound to be used, and unfortunately, they can cause a lot of injuries if a worker is not careful. When using scaffolding, you always need to make sure that you are absolutely safe. Firstly, you must ask a supervisor if an inspector has checked the scaffolding, you should never put yourself at risk by working on an incomplete scaffold. Ladders are also one of the main tools used in construction. However, they can also be as risky as scaffolding. To make sure you are safe, check the ladder properly before use and if you find that the ladder is even just a little unsteady, do not use it. A safe ladder should be a good strength and height, the steps of the ladder must be strong and secure, and the ground the ladder is on should be level to keep the ladder from falling over. You must have hard hats, goggles, gloves and everything else used on a construction site. Employers should provide workers with the correct work attire, and if they do not have them, you should ask them to invest in some, and for the time being purchase your own. Well fitted helmets and protective eyewear are very important. Earplugs must be worn as constructions sites tend to get very loud, and gloves must also be worn when dealing with chemicals and just to keep your hands safe. They are certain heavy duty work boots that are made specifically for construction workers, ensure that you wear appropriate footwear to keep them safe and to make moving around the constructions site much easier. Here at Clarkson Builders all of our workers always keep safe and ensure they are working within the correct guidelines, making them 100% ready to Build New houses in Milton Keynes or in any other surrounding areas. Construction is not an easy job, and every construction workers know the risks that come with it. They all make sure that to keep themselves safe, they should follow certain rules and regulation to keep themselves as well others on the site safe.